We had really nice time , staff was very friendly and helpful, apartment was spacious and clean. The apartment itself was really beautiful and clean. We had a sea view apartment and the balcony looked over the pool and the sea - really great! The beach felt like part of the hotel, it was barely two minutes from the apartment and was a great place to spend some time. Amazing view from the appartment near the pool. Very close to the beach. Really great location and friendly helpful staff. Room really clean bright and excellent air con. The outside areas are all lovely. Great view from hotel balcony. Only one complaint was the building work woke me most mornings from 7am directly to the back of my room but not at fault of the hotel. Great stay and I visit again. Large and clean swimming pool, nice view, frontal to the sea and convenient for families with children. The location is great, the hotel is in the nice bay, only 10 m from the downtown. The breakfast was tasty. The room was basic, bed was very comfortable. 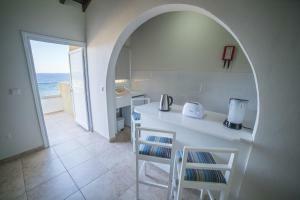 Ideal location if you like the beach and close-by facilities. 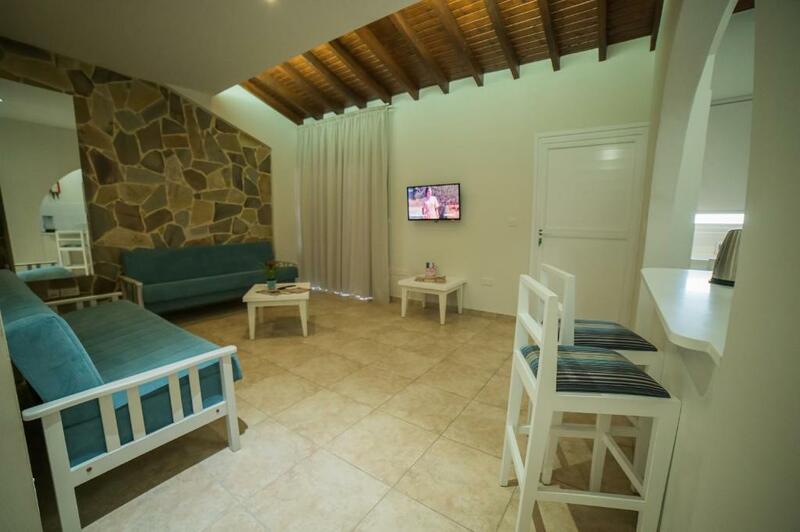 Apartments are very clean and comfortable and you have everything you need for a good holiday. Very nice staff, clean room and territory of the hotel. Thanks. 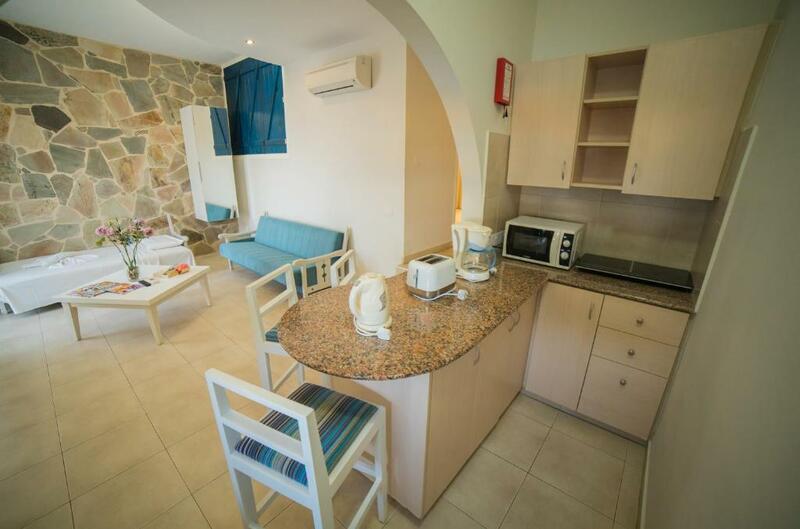 Lock in a great price for MyroAndrou Hotel Apartments - rated 9.2 by recent guests. 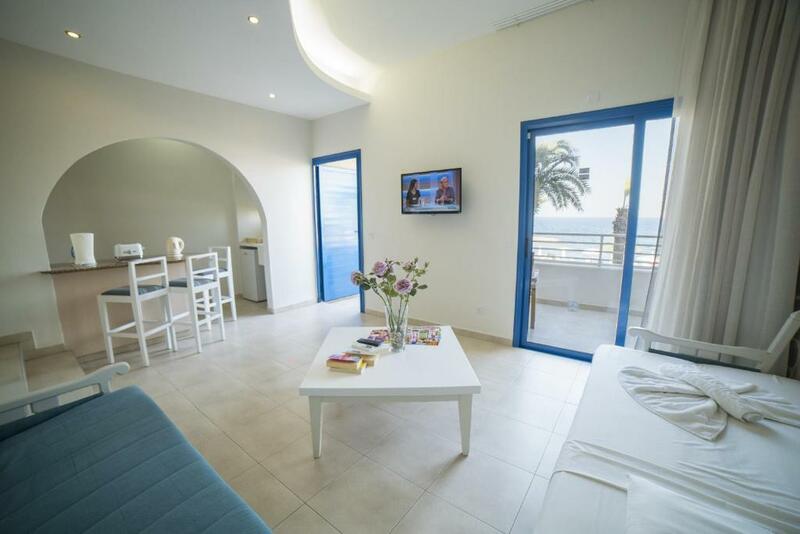 Located right on the sandy beach of Luma Bay, the family-run MyroAndrou Hotel Apartments features a swimming pool and a restaurant. 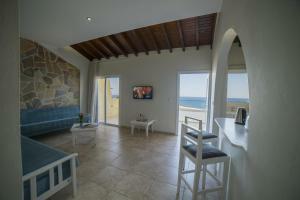 It offers air-conditioned apartments with a balcony overlooking the Mediterranean Sea. A kitchenette with cooking facilities, coffee maker and fridge is included in all units at the MyroAndrou Hotel Apartments. Each has a seating area with LCD satellite TV and a modern bathroom with bath or shower. Bloo Restaurant overlooks the sea and serves international and local cuisine during breakfast, lunch and dinner. Guests can enjoy views of the bay from the terrace of the lobby bar that offers cocktails and coffee. The on-site supermarket stocks vegetables, fruit and everyday essentials. Guests can relax on the sun terrace or at the games room. Billiards facilities are provided. A children's pool is available for younger guests. The centre of Protaras with restaurants and shops is 1.2 miles away. Central Paralimni is within 3.1 miles. Larnaca Airport is at 37.3 miles. Staff at the 24-hour front desk can arrange car rental and free private parking is possible on site. MyroAndrou Hotel Apartments has been welcoming Booking.com guests since 30 Aug 2012. When would you like to stay at MyroAndrou Hotel Apartments? Right on the beach, this air-conditioned apartment features a balcony overlooking the Mediterranean Sea. 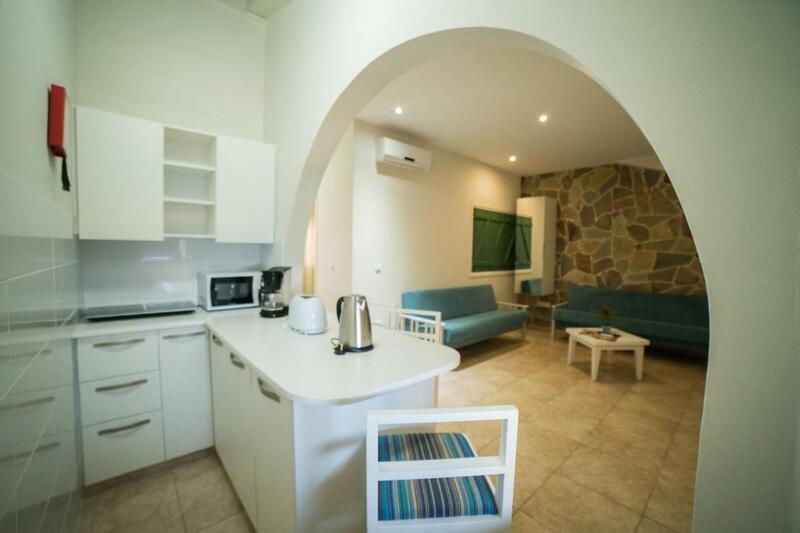 A seating area and a kitchenette with cooking facilities, coffee maker and fridge are included. Please note that room rate is based on 2 adults and 2 children up to 12 years old. Please note that room rate is based on 2 adults and 1 child up to 12 years old. House rules MyroAndrou Hotel Apartments takes special requests - add in the next step! MyroAndrou Hotel Apartments accepts these cards and reserves the right to temporarily hold an amount prior to arrival. Inside looks tired and dated a little. There were some repairs going on. Wi-Fi connection is quite poor, you need to re-introduce every-time the password to reconnect to the network as the phone doesn't remain connected once you log in. The location is good in terms of view to the sea side but the hotel is quite far in terms of walking distance from the pedestrian area/downtown of Protaras around 30-40 min. 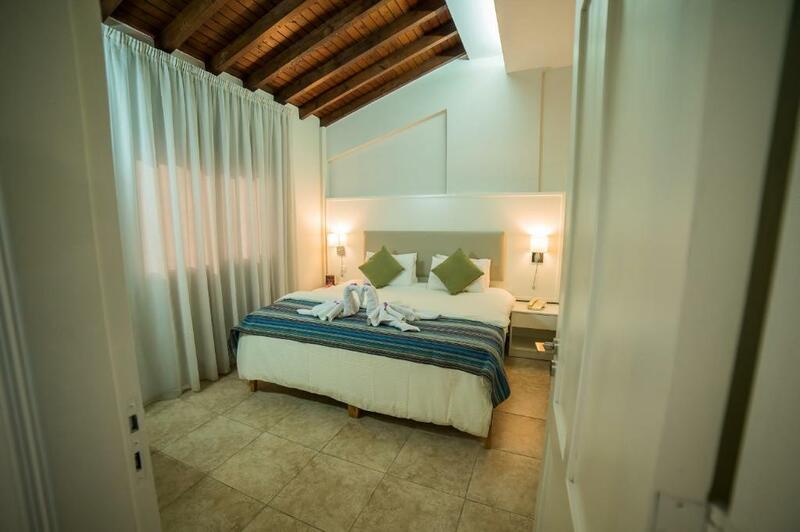 Be aware that the hotel is charging you extra for each child the breakfast as well as for the extra bed, in our case for 2 children was 24 Eur/day (12 Eur/day breakfast and 12Eur/day for using the existing beds), aspect that is not very clearly stipulated that both of them applies. No events for adults or children organized by the host during the holiday. The ongoing construction at next door was a little bit annoying, every day in the morning we had to put earplugs because of the loud noises, but in the end it was okay. There are no bars on site other than the restaurant bar and that closes at 10pm. If you wish to have a later drink you have to walk a short distance to the local bars Apartments on the 3rd level can only be accessed by a staircase - if you are a little infirm do not take a 3rd floor one - too many steps. Please pay attention to the Internet settings - it disconnects every 10 minutes with makes its usage a horrible experience. Internet connection was very bad, having to log into the system every 10 minutes. Electricity in the room is cut off once you leave the room, which is not very convinient if you like to charge something whilst at the beach or the pool. 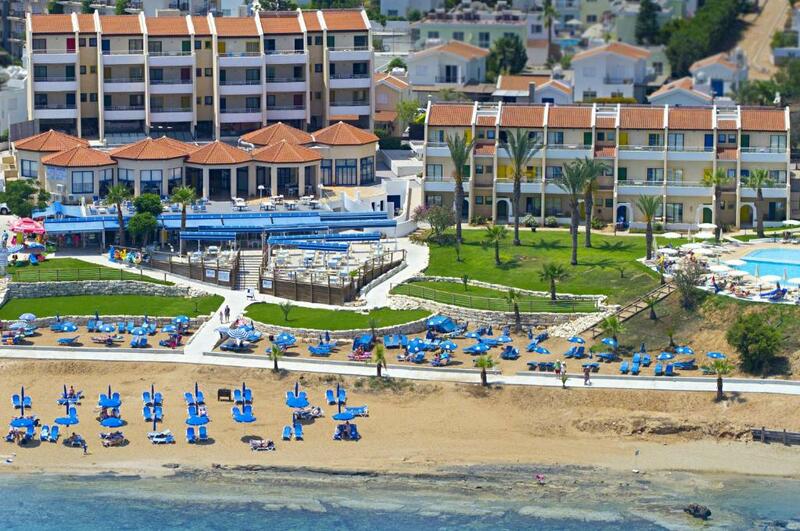 The hotel appartments are situated right on the sea side with all rooms facing the sea. Excellent staff, quiet location and great for family. Fantastic food in the restaurant - 3 course for 12e! So we went twice in the 3 days we were there. Would like to have beach/pool towels;this is not offered as a service. The cleaning should include that the dishes are done. A little better equipment in the kitchen would be appreciated; such as a collander, more utensils, kitchen towels, dish washer and brush. Softer beds, please! Beds somewhat hard for kids. Inside of a drawer or two was not cleaned upon check-in. No activities besides a billiards table. No pool towels to borrow, had to purchase towels. Separate master bedroom with lots of space. Nice kitchenette. Quiet and calm but also family-friendly. Convenient small store on property for daily grocery shopping. Fantastic breakfast buffet.